Fast forward to the present, and we have LittleBigPlanet 2: the game that completely and unequivocally delivers on the lofty promises made by that LittleBigPlanet GDC demonstration four years ago - and then some. In terms of ease-of-use, its creation tools are second-to-none. It provides a thoroughly robust tool for discovering new/popular/dev favorite levels, complete with a full-featured web component (LBP.me) which even supports queuing levels (right from that site) for later play. It revitalizes the engine with new graphics, new lighting methods, and tons of extra eye candy. 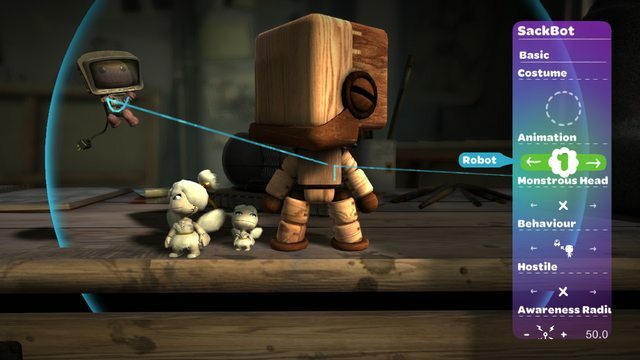 You can even import your original LittleBigPlanet profile into LittleBigPlanet 2 and bring along everything you've made and unlocked - stickers, objects, materials, levels, everything. And, before you ask - yes, the platforming physics are the exact same as LittleBigPlanet's. As I'll discuss later, LittleBigPlanet 2 is backwards-compatible with every single level ever published in LittleBigPlanet - a number that is currently in the multi-millions - so they opted to keep it the same so as to not break that backwards compatibility. I'll say it now, so it's out of the way: I do not have, and never had, issues with the platforming physics. If you do, it's probably a good idea to keep that difference of opinion in mind while reading the rest of the review. In the end, LittleBigPlanet 2 is not necessarily going to please everyone - as mentioned, the floaty jumping is still present, and, according to some, the thermometer is less flexible this time around - but whether you consider yourself a fan of LittleBigPlanet or not, you owe it to yourself to give its successor a whirl. There are too many things done right (and done better) in LittleBigPlanet 2 to willingly pass it up. The original LittleBigPlanet had a story mode that, while filled with fun gameplay, had an actual story that left something to be desired. In this way, LittleBigPlanet 2 is almost exactly the same as its predecessor. The story is hard to follow at times and, honestly, gets weirdly hipster/cliché at the very end. Each set of story levels is still sorted into loosely-related "themes". You're still hunting for prize and point bubbles along the way, of course - though I don't know anyone that had a problem with that the first time around. The story revolves around your quest to join forces with a number of Creators throughout the "Imagisphere" (a universe of creative worlds) as you gather the strength necessary to fight the "Negativitron". The Negativitron is a vaccuum-resembling fun-sucker that seemingly has nothing better to do than to follow Sackboy around and ruin his day. As a result, you're tasked with eventually destroying the Negativitron. Since you can't do it alone, you spend the majority of the game cavorting around various worlds in the Imagisphere, fighting the effects of the Negativitron and building the allies necessary to fight the Negativitron head-on. In terms of the way the story mode plays, the only big difference is that nearly every single level - regardless of theme - is unique in terms of both gameplay and visuals. Whether it's a level intended to introduce you to the Grabinator, a unique new "vehicle" you're driving using the Direct Control Seat, or a new fun use of the Grappling Hook, nearly every level has a unique gameplay hook coupled with a new look that helps keep things feeling fresh. Often a "new look" means a different layout and different assets within the same "theme", but it still prevents feelings of "samey-ness" that might have surfaced otherwise. Overall, the story mode is a great ride. Each of the over forty levels presents new challenges and new ways to look at the game, and Media Molecule does a great job making their methods just obvious enough that a seasoned Creator will learn a ton from the Story Mode just by playing through and looking around at the mechanics of it all. There were many times where I simply forgot my motivation while playing through the Story Mode, but in those instances, I never really cared. If I was shooting a glob of sticky cake out of a Creatinator at a spiked, fire-throwing baddie while being flung through the air on bouncepads, why I was doing it was ultimately unimportant - the fact that I got to do that thing was so much fun in and of itself, it didn't really matter why. The first time you drop into Create mode in LittleBigPlanet 2, your ever-present guide Stephen Fry will offer to assist you by introducing you to the (quite massive number of) tutorials. Jump in, and you'll be slowly-but-surely introduced to both the new and the old, in a pre-determined order designed to help ease understanding of the vast number of tools at your disposal. Obviously, they're all optional, and you don't have to do them in order - if you really want to, you can jump around, do some but not others, or just skip them all using the handy "Unlock All Tutorials" button at the bottom of the list. I'm not going to try to lay out every new thing there is in Create, but I will say this: the list is massive. Absolutely gigantic. Everything from thermometer consolidation to built-in logic to a microchip for holding that logic to a sticker cutout tool to sorting-stickers-by-color to fullscreen Popit to animated materials to a UV editor that lets you edit the textures on those materials (and static materials, to boot) to Sackbots and AI to direct control mapping to dynamic scene/water/gravity controls to gameplay and music sequencing...the list goes on and on and on. It's absolutely wonderful how full-featured Create is this time around. You can link two levels together with a Level Link, to teleport a player (or groups of players) directly from one level to another. So if you wanted to make a long level but don't have the thermometer space for it, just split it into two and use a Level Link to make LittleBigPlanet 2 treat them as one level. It'll even hide the second level for you, so players have to finish the first in order to be able to play the second. You can also mark levels as Competitive or Cinematic, so it will treat certain levels as versus or cutscenes instead of the standard-fare cooperative. You thought Calculator was impressive in LittleBigPlanet? With the logic tools they've provided, you could make that in the span of a couple of hours, tops - and you could shrink all the logic required down to the size of a sensor switch by putting it inside a microchip. It would require very little thermometer space because it requires very little physical material - all it's doing is computing numbers. How about our Logic Pack - lots of people thought that was useful. How hard would it be to implement that functionality in LittleBigPlanet 2? Already in there, out of the box - everything we provided, they're providing, and more. And they've one-upped us by making it non-physical (something we couldn't do) so you don't have to worry about it taking up tons of thermometer space in your level. Out of everything, my personal favorites have to be the Direct Control Seat, Movers, Object Tweakers, and the new logic tools. The Direct Control Seat does exactly what it appears - it allows the Creator to map any button on the Dualshock to any action, and all the player has to do is hop in the Seat to activate it. Movers provide very precise control over objects - using them, you can instruct an object to move up, down, left, right, or even between layers. Object Tweakers, well, tweak objects! You have a ton of control over things like gravity, dampening, and even water buoyancy of an object (among many other things), and can set all of these variables per-object. In the end, though, the logic tools are what really tie it all together for me. The new logic allows for some powerful control over what features of your level are active and when, and how much impact the player has on said features. Want to remove the gravity of an object at a specific time? Easy - just whip out a timer and an object tweaker, and connect them together. Looking for something more complicated? How about a UFO that the player can fly? Not only possible, but with a DCS, an Advanced Mover, and an Object Tweaker, you can set that up in 5 minutes. The more complicated your ideas get, the longer it would take to implement, but I've yet to come up with (or hear of) an idea that couldn't be implemented with enough time, dedication, and logic. For those who know how to use it, logic really does present endless potential. Media Molecule and Sony are lauding LittleBigPlanet 2 as more than a way to make levels, but an entire platform for games. From what I've seen, that's entirely true. Top-down racers, first-person shooters, top-down shooters, Flower, even gameplay reminiscent of Heavy Rain - not just possible, but all already accomplished (thanks to the early Beta trials). The potential for this platform is massive, and you'd be crazy not to own a copy for nothing else other than to be able to pop it in and check out the latest hotness that one of of our many creative geniuses have made. 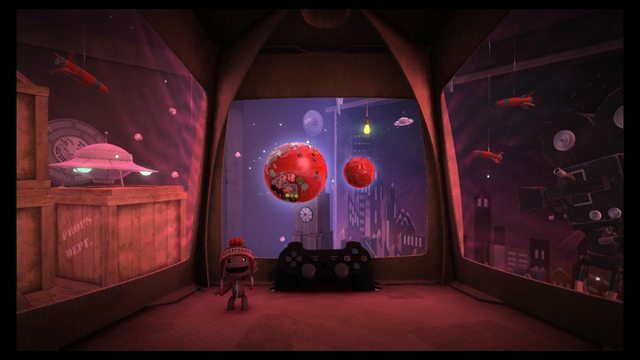 Just like the original, every aspect of LittleBigPlanet 2 is a wholly personal experience. Your Sackboy/Sackgirl, your Creator image, your Pod - everything about you is, well, you. Just as in Create mode, you design all these aspects yourself, and they follow you around throughout the universe of the game. It was the same way in LittleBigPlanet, so what's different here? I think the biggest difference is the concept of Pins. For nearly everything you do in LittleBigPlanet 2, you earn progress toward unlocking a Pin. There are hundreds of Pins. Some are Story-related, some are Create-related. 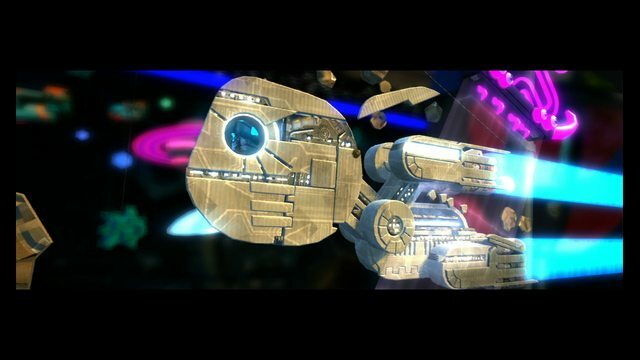 Some you unlock by designing your Sackboy, some you unlock by designing your Pod. Some are secret. Some of the more difficult Pins unlock trophies as well - these you'll be able to spot, as they'll be marked with the appropriate trophy icon. Custom Pins can even be made and handed out by Media Molecule for special occasions, so, down the road, there will be extremely rare pins to be collected. Pins are cool for a number of reasons. For one, there are way more Pins than there are trophies, so there's a sense of accomplishment much more often. Pins are also integrated into the game much more heavily - you don't even have to leave the game's interface to check them out. The biggest sell, for me anyway, was the revelation that you can put any three Pins of your choice up on display under your Creator image for all to see, including secret/custom pins. This gives you the freedom to show off your most valued accomplishments to all your friends/admirers/visitors of your Planet. It really makes the earning of Pins that much more exciting - that you get to "own" those accomplishments by flaunting them to your friends, without being annoying about it. It's a very fun concept, and one I hope more games adopt in an abstract sense. Another aspect new to LittleBigPlanet 2 is the ability to customize your Earth and Moon. Each has a number of layers (the Moon, 3 - the Earth, upwards of 5 or more) that you can tweak using your own selection of materials. Any materials you've unlocked in LittleBigPlanet 2 (or LittleBigPlanet, for that matter) can be used to customize your Earth and Moon. You can also slap on Decorations as well, for that extra bit of personalization. It's quite cool. Sackboy customization is very nearly the same as before, except now there are costumes that are much more...jaunty, than they were before. They're bigger, they're more animated (in a very literal sense), and they usually come in more pieces to make customization that much more fun. Stickers make a comeback, of course. They're just as awesome as they always were, and now there are twice as many as before (provided you've got an original LittleBigPlanet profile to import). Coupled with the new sticker cutout tool, stickers have been given a whole new life in LittleBigPlanet 2. I'm excited to see how the community puts them to use now that it's easy to make objects conform to their default shape. Decorations should probably be touched on as well. Decorations as we knew them were slightly 3D forms of stickers, mostly - sometimes they stuck up in the air a bit, but mostly they "kept to themselves" - they were subtle, low-profile. Not anymore. Now, there are decorations that are unashamed of their size - and, for the better. It's so much more fun to decorate your pod with huge dangly dice that take up half the screen and engines and egg cartons. Of course, they're all resizeable like any other custom thing you would place down, so they don't have to be huge and obtrusive, but personally, I like the ability to dress up my pod in a much more flaunty manner. Also, dice dangling from my Sackboy's ears just look hilarious. I could go on and on about how necessary I think it is that all gamers own a copy of LittleBigPlanet 2, but I'd just be wasting time repeating myself. The fact is, LittleBigPlanet 2 is a game so rife with imagination and creativity, it doesn't matter whether or not you'd use the Create tools yourself. It doesn't matter whether or not you have a problem with the "floaty" platforming. LittleBigPlanet 2 is a gallery of user-generated ingenuity, in a way that no other console game before it has managed - you're paying for one game, you're getting at least a million. Even if only a tenth of those are any good, or even a hundredth, because of how ingenious its community is (e.g. you guys! ), you're still getting ten-thousand times your money's worth. Look at it from that perspective, and you'll quickly realize: you'd be crazy not to own LittleBigPlanet 2. Full disclosure: Played through the entire Story Mode and a handful of the bonus levels. Completed all 52 in-game tutorials individually, and spent a total of 10 or so hours in Create mode. Was provided with a free, early copy of LittleBigPlanet 2 by SCEA for the purposes of this review. Full-er disclosure: I bought the Collector's Edition anyway. This is just amazing... 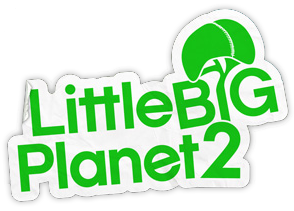 I think that this game, LittleBigPlanet 2, will turn out to be one of the greatest video games ever made in the world! The review is very well written; I cannot wait to play the game. Good job, CC. Awesome!So that's what you been doin'.Truly awesome and I'm glad for you to get to enjoy LBP2 ahead of time to tell us about it.Thanks for the heads up look thread here!And once again,have fun! Finally, a review from a player and not a critic! Good job CC! way better than the last review I saw today of LBP2, they gave it a 7.5! Is the create drone noise still there? Just kidding, I did read it lols. We're gonna need a FAQ. Really, this is the most relevant review this game will ever get. From an honest leader of the community. Yeah, thats what this "game" is. If you don't import anything from LBP1, what do you get in LBP2? Are things like basic materials still there? what a very intricate and detailed review, I'm beyond impressed. also loved how you emphasized that you get way more out of your $60-$80 (Collector's Edition) with all of the community supporting this title. Will we be able to "officially" change the background of the pod in the final game or not? Well, the sackplush and all those costumes are totally worth it. That's why I did the same. you'd be crazy not to own LittleBigPlanet 2.
tell that to non creative people and people who complain about getting half of a game and sayingits like, "here it is, MAKE YOUR OWN GOD DAM GAME"!!! Well, I can't say I was really on the fence about buying the game, but this definitely has me pumped for a week from today. Sorry I'm not answering questions - there are quite a few, I don't want to turn this into a full-on Q&A, and there's no fair way to pick whose question should be answered! I don't believe in 10/10s. I think, in the world of scores, 10/10 is an unreachable nirvana that all games are aiming for but, due to the realities of humanity, none quite hit. All games (as in all things) are imperfect, and I think scores should reflect that. My opinion on that matter is reflected honestly in the score I've added to the review. If you want to fully grasp my opinion on the game, try to focus more on the content of my writing than the score itself - the score is meant to be a quick summary, not a full explanation of my feelings. 52 tutorials?! Is that REALLY necessary?